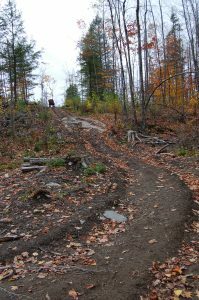 My autumn season has been incredibly busy. 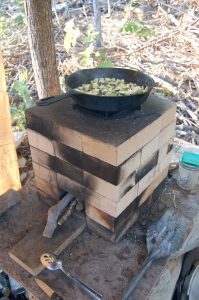 Cut firewood. Haul materials for new garden beds. Along with all the regular chores of course. I am preparing beds now so that the compost can start to rot in its new home and because the leaves are so numerous in the autumn. 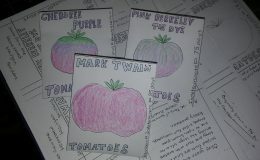 The beds I am building are for both my long term food forest and my annual vegetable garden. All the hard work will pay off double. My long term goal for the property is to have a food forest, a mostly self sustaining orchard full of perennial plant foods of all kinds. I am preparing the rows for the orchard trees now to be ready for planting in the spring. 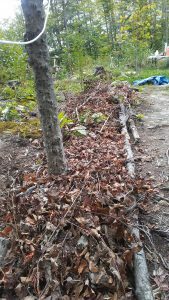 Rather than setting up just spots for trees, I am making long hugelkultur beds so there is space to plant smaller bushes and plants in the beds between the trees. These other plants will provide food or be beneficial to the fruit trees in some way. I am trying to propagate all of the trees for the food forest myself, using hardwood cuttings. This means that it will take a long time for the hugelkultur beds to fill up. It would be a shame to let all this garden space to go to waste while we wait. 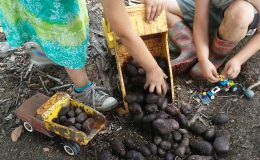 My short term goal for this year is to provide food for my family. With all the usable garden space I am working so hard to set up, why couldn’t I grow tomatoes between the trees while they are small and don’t shade anything out? When they are big enough to make shade, I will have new garden beds built. I have to build new beds for my annuals anyway, because we will be building a new house further back on the property, and I’ll want the garden close to it. The future home of the bean and squash tunnel. So my autumn project has been to set up all these beds, along with a kitchen garden, a small corn field, a potato corner, and a butterfly garden. I used about 4 garden beds this year. I am improving those beds and getting about 16 other beds set up. The beds are not fully productive the first year, but I will do my best to get them as productive as possible. This will be my potato tires. 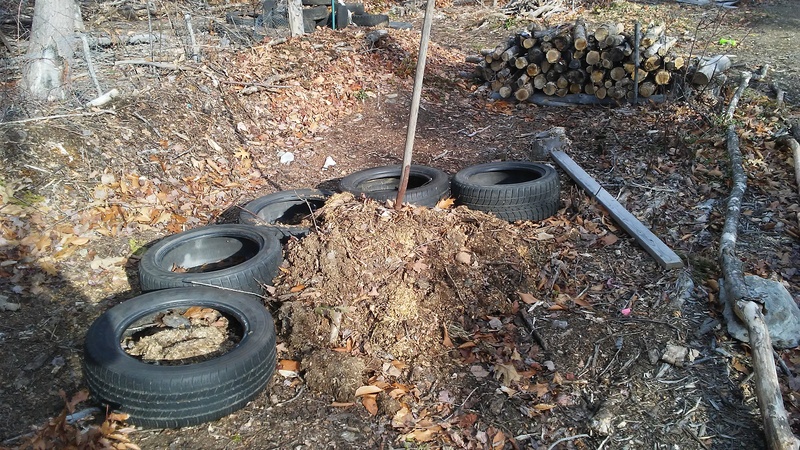 The pile in front is the compost that I will use to mound potatoes in the tires. 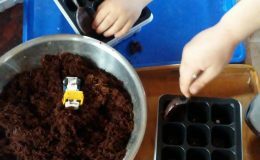 So how do you build up 20 garden beds in the autumn for free? Scavanging of course. 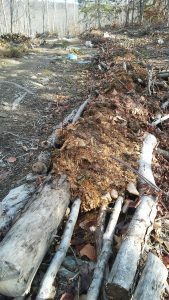 Being on a wooded lot, there are rotten logs everywhere. The logs form the sides and bottom of the beds. 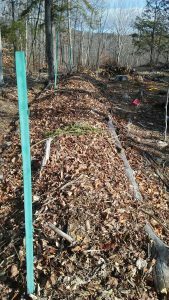 We also have huge amounts of leaves which we have composted along with kitchen scraps and weeds. This compost fills in the gaps between the logs in the new beds. I was also lucky enough to have a neighbor with a lot of manure lying around. This will do wonders for the new beds and maybe even make the new beds productive in the first year they are rotting. Halfway through a dumptruck load of manure. 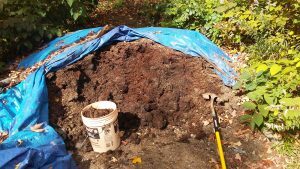 There are 150 five gallon buckets full of manure in a dump truck load. This is one of the many excercises available in my home gym. Haul buckets of manure up this hill to the garden beds. I spread the manure around on all of the bed. 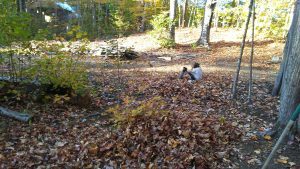 Then the children and I raked leaves. Raking the leaves each time the kids jump is another exercise at my home gym. The kids are actually shredding the leaves as they jump through them. 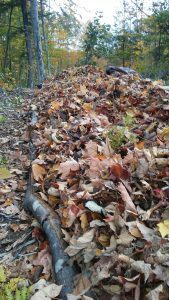 Your bonus exercise is hauling the leaves that you raked into a tarp up that same crazy hill. The leaves are the top layer of all the beds. I think that they should help to keep the warmth and moisture in the beds so maybe it will take longer for the beds to freeze. Then maybe the beds will be rotting away into the winter, rather than just freezing.